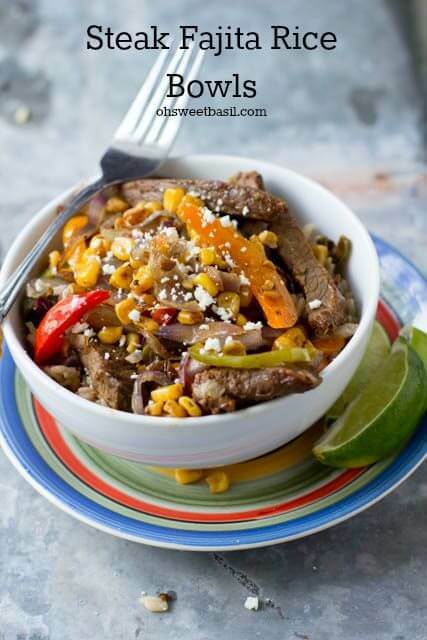 Today’s recipe written by Carrian at Sweet Basil! Check out her other recipes too. Ok, so we’ve started creating new recipes using our leftovers just to mix things up a big and never tire of the same ol’ thing night after night. two this saves on time. Think about it, if you’ve already got half of your meal fixed for you there just isn’t as much standing in the kitchen going on. In fact, we noticed how much it was helping us out that we started cooking extras of things like rice, meat etc so that even when it’s a meal that we know we wont have leftovers we can still end up with extra food to create another tasty meal later on in the week. Kind of like these awesome pork nachos with a pina colada sauce. Then there’s the produce. This dish is the perfect example of how we save on groceries and continue to use leftovers. We all know that shopping for produce that’s fresh and in season helps us to save money. If it’s more readily available to the market it’s going to cost you less to buy it. 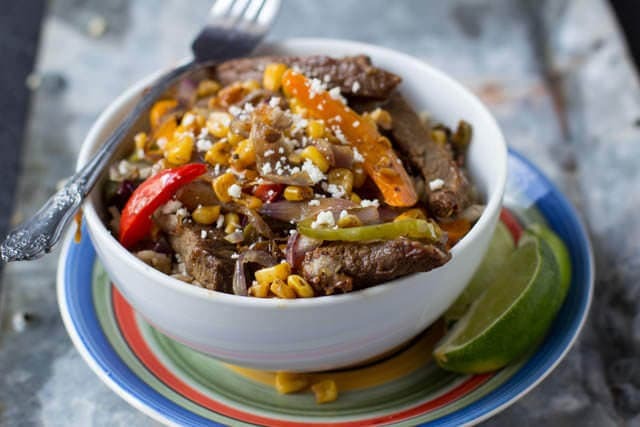 We shop around to find great produce like these peppers, corn and onions, cook them up fresh and add them to our leftovers, like in this case leftover steak and rice. When you add a little freshness to your meal you’ll totally mask the fact that it’s actually leftovers from two nights ago. Plus, obviously fresh veggies are always great for your family. Add the peppers and onion and a drizzle of olive oil. Cook until tender, about 8 minutes. In a rice cooker, combine the rice, water and seasoning. Cook per product instructions or in a pan bring it to boil, add the lid and turn down to low for 20 minutes or until cooked through. 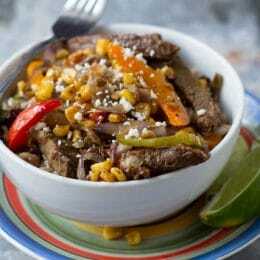 Warm up the steak and toss with the peppers, onion, corn and cheese. Thanks for the recipe. This looks delish. I’ll give it a try this weekend. Yum! That sounds so good! I may just have my husband pick up the ingredients for dinner tonight!